Stu: This week we welcome back Michele Chevalley Hedge to the show. 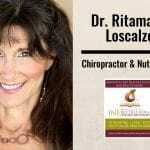 Michele is a Nutritional Medicine Practitioner, (Adv. Dip of Nutritional Medicine, Australia Traditional Medicine Society) and the author of many health related articles. 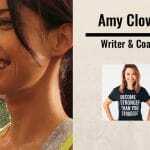 She also has proven strategies to incorporate good nutrition into a fast paced family, as the mother of three teenage children and her own busy practice. She can empathise with all types! A Healthy View recently has expanded Sydney operations to open in New York, with its new online family wellness program Low Sugar Lifestyle. What are the tell-tale signs of hormone imbalance? In terms of nutrition, what foods most negatively impact our hormones? How long does it typically take to start seeing (and feeling) positive results? 00:03 Hey, this is Stu from 180 Nutrition, and welcome to another episode of The Health Sessions. 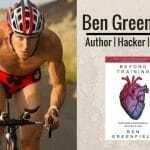 It’s here that we connect with the world’s best experts in health, wellness, and human performance, in an attempt to cut through the confusion around what it actually takes to achieve a long lasting health. Now I’m sure that’s something that we all strive to have. I certainly do. 00:23 Before we get into the show today, you might not know that we make products too. That’s right. We’re into whole food nutrition, and have a range of superfoods and natural supplements to help support your day. If you are curious, want to find out more, just jump over to our website. That is 180nutrition.com.au and take a look. Okay, back to the show. 00:44 This week, I’m excited to welcome Michele Chevalley Hedge. Michele is a highly commended nutritionist, health writer and presenter who is often introduced as the modern day nutritionist, the one who likes a bit of wine and coffee. Love it. 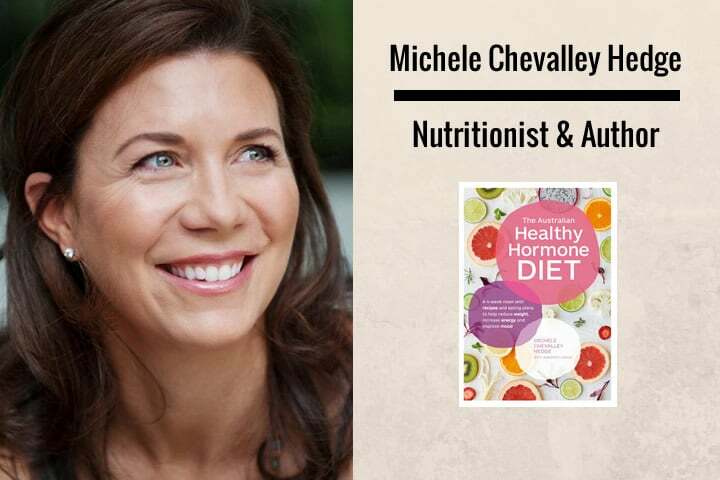 Her latest book, The Healthy Hormone Diet, offers a four week reset to help reduce weight, increase energy, and improve mood, which is what we’re gonna talk about today. 01:07 Now, I really love Michele’s approach to health and nutrition, and I know you’ll enjoy this interview as much as I did. Over to Michele. 01:19 Hey guys. This is Stu from 180 Nutrition, and I’m delighted to welcome Michele Chevalley Hedge back to the show. Good afternoon Michele. How are you? 01:27 Hi Stu. Thanks for having me on. 01:29 No problems. Look, before we jump into all of the good bits about the show today, I would love it if you could just tell our listeners a little bit about who you are and what you do. 02:12 Because I do believe, I truly believe that sure, of course there’s a time and a place for an extreme approach. 02:18 But most people need to enter this space gently and easily. 02:23 With an abundance of good food so that they don’t feel like they’re being pared back and stripped back. So what else can I tell you? I have three children. I have a dumb dog. I have a busy husband, lots of loads of laundry, like every other person listening to this podcast. I’m the author of two international health books, one of which we’ll talk a lot about today. And I do lots of corporate and school speaking across Australia and the States. 02:56 Fantastic. Boy oh boy, you are, you make me tired just listening to everything that you are doing and have achieved as well. So thank you so much for your time. 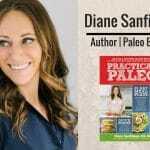 We’re gonna be talking a little bit about your new book, The Healthy Hormone Diet, today as well. But before we get into that, I wanted to ask you a little bit about hormones. And I took a flight to Sidney last week, end of last week, and in the in-flight magazine, there was a whole page on hormones. “Do you think that you have a hormone problem? Because if you suffer from any of these symptoms, it might be a problem for you.” And there was a page long of symptoms that was skin, and dirt, and weight issues, and sleep issues, fatigue issues, digestive issues, all of the above. And I thought, that could be anything. So from your experience, what are the telltale signs of hormone imbalance, maybe the most common signs? 04:02 Okay. So I’m so glad that you started with that, Stu, because when I was writing this book, and the reason I wrote it was because I’m the author of Beating Sugar Addictions for Dummies. So sugar was a big thing. 04:18 Gut health was a big thing, and still is, and rightly so. The next big thing in the area of wellness and well-being will be hormones. And in fact, when my book was being written and published, and it came out in February, we were thinking there was going to be a lot more books on the market around hormones. But there will be over the next 12 to 18 months. 04:41 So here’s the thing, Stu. So you know I run a clinical practice where we see patients, hundreds of patients every week. So we’ve got several different practices. We’re seeing people at the call face. We’re not celebrity nutritionists. We’re just us. 04:56 Face to face with people. So it didn’t matter, people would be coming in for all sorts of reasons, Crohn’s Disease, cardiovascular disease, autoimmune, whatever they were coming in with. But the common threads were weight, energy, mood swings, and stress. Those were the common things. 05:19 And if you look at all of those things, Stu, there is a hormonal link to all of those. For example, let’s just take insulin, what I refer to as the fat storage hormone. Once our insulin goes out, even if you’re a slim person, your insulin can go out. Once your insulin goes out, all of a sudden, we can start to have weight issues. We may never have had them before. We could’ve been a slender [inaudible 00:05:50] on the inside. 05:52 And all of a sudden, the insulin goes out, and boom, all of the, the belly fat comes. The betty back fat comes. So what I like to do in the book is break down eight different case studies, eight real people, who have been my patients forever, that have gone on TV and radio with me. And you can’t fake authentic, right, when people are telling their stories. 06:16 So let’s just go back to insulin. So insulin can be, of course, dramatically affected by hidden sugars. But in the book, we also talk about how insulin is dramatically affected by sleep, and how insulin is also dramatically affected by stress, and the stress hormone cortisol. Once this insulin goes out, Stu, people can look at a piece of rice and gain weight. 07:44 Because their cortisol is completely out. And that can be driven from lots of things. But it could also be driven from food. So they go to bed tired but wired. They wake up, let’s say if they’re lucky, they get eight hours sleep, and they’re exhausted. They come to our clinical practice, and we start to talk to them. We say, “Let’s take a deeper look at your thyroid, because one out of four women in Australia are suffering from some kind of sub-clinical thyroid condition. It could be Hashimoto’s. It could be Grave’s Disease. It could by hypo-thyroidism or hyperthyroidism. But it just could be a sluggish thyroid from lack of iodine, lack of selenium, too much gluten irritating the thyroid. We know that people who are suffering thyroid conditions, Stu, they do not feel vitality, energy, a happy libido. They feel like they’re swimming through mud every single day. And often, and this is no discredit to a GP. And often a GP will just look at their TSH and go, “Oh, your TSH is fine,” and they won’t have looked beneath that nutritional surface that we would look at it with. 09:05 So in the book, we have a perfect example of this woman, Lucia, two young children, high powered, on-the-go, busy woman. And she has, she gets a thyroid blow out, and she just feels like she is treading water, and in brain fog, and low libido every day. And it’s like, she actually thinks she has anxiety, depression, or a mood disorder, when it’s just thyroid. 09:39 Which is your stress hormone, insulin hormone, which is your fat storage hormone, serotonin hormone, which is your happy hormone, and 80 to 95% of our happy hormone is being created in our gut. So does it not make sense that if our gut is being fed really well, with a whole food diet full of fiber, full of antioxidants, full of beautiful rich foods, that we minimize the risk factors of anxiety, depression, and mood disorders? Well, anxiety, depression, mood disorders, multi-factorial. Big topic’s mental health, right? 10:24 But if we can help one percent with our fork, because we’re allowing a space for the serotonin to be created and not dampened, and not fueled by a candida fire or a IBS like symptoms, we’re winning with our fork. How amazing is that? 10:45 So I wanted to ask you, where was your book two years ago, when I had issues like this? Because I wanna tell you a very brief story of … I was experimenting with a new form of exercise, and pushed myself to extremes day after day after day. And at the very same time, thought that it might be interesting to see what happens if I pulled back on my carbohydrates and went very low carbohydrate. And my adrenals crashed. So my cortisol level at 10 p.m. was 10 times higher than it should’ve been. And the curve was all over the place. And my naturopath phones me up and said, “Look, we really need to sort this out, because this is life threatening. This stuff is so serious. You have to get on top of that.” And as a consequence, my sleep suffered. I was waking up, just like you say, in the morning, after nine hours sleep, super groggy, no energy. I was craving sugary foods. I had leaky gut, and because I was stressed, and tired, and wired, and all of these things. So it’s really good to hear that this book isn’t just for the females out there is it? It’s for males too, right? 12:33 And sometimes, there’s a time and a place, Stu, for people dropping all their carbs. 12:42 In certain situations. But for the most part, those types of some carbs really fuel those adrenal glands, and allow those adrenal glands to be really well nourished. What we’re actually seeing is people that go, ” No carb, no carb, no carb,” riding on their adrenals so badly that it’s often affecting their thyroid. And the very reason people go low carb, they end up having a rebound effect and getting a sluggish thyroid, and end up looking at a crumb, or a piece of rice, and gaining weight. 13:21 Right. Wow. So in terms of nutrition, what are the most common everyday foods then do you think that most negatively impact our hormones? 13:34 I think the reality is if, I think hidden sugars. 3:39 So I think when we move to a whole food, unpackaged and unprocessed way of life, this is ideal. Now, Stu, you know me. I live in the real world with everybody else that’s listening. 13:54 So I don’t always eat real, whole food. Sometimes I’m eating packaged and processed. But when I do, I’m making a very, very conscious choice. I’m looking at the sugar. I’m looking at if I can read the ingredients, if I can pronounce the ingredients. So I’m looking at those things. 14:14 In my book, The Healthy Hormone Diet, it comes with a 28 day plan of lots of recipes, delicious recipe. 14:22 And so in that 28 days, I try to say to people, this isn’t a plan forever. This is a time and a place to give your body a reboot, but not detoxing, not stripping back. Give yourself such a reboot with real, whole, clean foods, so that when you come off of it, you go, “Oh nice. I’m in a clean slate.” So you start to enter things back in. When you enter that Muesli bar back in, that is packaged, how did it feel? 14:57 Was it okay for you? When you enter a piece of bread back in that’s packaged, how was it, ’cause you’ve been on a clean slate for 28 days. So a lot of people will go, “Wow. You know what, Michele, you make this so easy that I can actually move to a whole real food way of life for let’s say Monday through Thursday. And then Friday, Saturday, Sunday, I’ll be a bit of a weekend warrior.” But I love the fact that we have packaged this book up so nicely that people can eat really clean for 28 days. 15:36 And in terms of, you mentioned at the start there were eight case studies in there as well, and I’m guessing these guys are going to have gone through a huge success. Are there any particular ones perhaps that stand out that you wanna share, just to get us, move us into this book? 16:15 “So I want you to do this 28 day hormone rebalance. 16:19 And he’s very skeptical. You know, he’s a typical Aussie male, like my husband, really, really lovely, but sort of a little bit of a doubter. But he goes and gets his blood pathology. And on his blood pathology, his fasting insulin and his fasting glucose looks metabolically like he’s the age of a 65 year old. 16:42 He started, so of course, when that starts to go out, that’s where they, the belly fat, the abdominal fat starts to come. 19:25 Yeah. Yeah. So awesome, Stu. 19:27 And I still see him. I see all of our patients. 19:43 … you can make it affordable. 19:45 Then all of a sudden, it becomes repeatable. 19:48 Right? And then all of a sudden, people go, “Wait a minute. I’m not really doing any diet. I’m just doing something that’s become a habit. And it becomes lifestyle. 20:00 Absolutely. I think if you can program that into our habits, make it habitual every single day, then we’re on auto-pilot. But we’ve shifted the autopilot from the bad stuff to the good stuff. 20:14 Which is so great. You mentioned food pairing, which got me intrigued. I wondered if you could tell us a little bit more about that. 20:20 Yeah. It always really intrigues people, because years ago, there was sort of this fad going on about food combining. So as you know, Stu, I’m very much an evidence based practitioner. 21:10 With okay, here is the gold standard trial. So I love that. But here’s the thing about one of the things that I talk about in my book for the 28 days, is I use food combining. Whilst there’s no evidence based research coming out of university on this, for 10 years in clinical practice, Stu, it hasn’t let us down. So here we go. Very simply. Food combining. We don’t do this all the time, but during the 28 days, we did. 22:25 You don’t feel hungry really quickly. Or for lunch, I had, oh brown rice and a lot of vegetables. You feel satiated. It’s a long burner. It’s not a fast burner, right? 22:38 Okay. So if I take protein, let’s say fish, and I take some brown rice. Sometimes the combination of the two, Stu, can weigh people down a little bit. And what I wanna do over the 28 days is lighten people’s digestions, so that they have energy for things, so they can see how, what is bogging them down? What is weighing them down? It’s not that having a protein and a grain is a bad thing. Just during the 28 days, I want people to go, “Wow. I feel satiated. I feel really full. I feel like that was a delicious meal. And wait a minute, who’d this me at four o’clock in the afternoon, beetling around the office with this newfound energy. And wow, this is kind of a new like feeling for me. I lo it. 23:35 So in reality, Stu, I could’ve called this book The Clean Slate Diet. 23:41 It’s really about people eating really well in sort of a different format over 28 days, for them to get themselves to a clean slate, to go, “Hmm. I now see what’s working for me, and what wasn’t working for me. 24:01 Got it. Got it. And what is your take on fats in the book as well? Would we use those to support hormones? 24:15 … each of our meals. 24:16 So what I think a lot of people don’t realize is that fat is really, really important in turning on the hormone leptin. 24:26 And Leptin is the hormone that goes, “Hey brain, you feel satiated. You feel full.” And also what people don’t realize is our brains are made up of 60 to 75% fat. So people that are struggling with something in the cognitive or neurological area, like ADHD, Alzheimer’s, Parkinson’s, Autism. Anything in that spectrum, that, their brain loves fat. 24:58 So I’m a big fan of fat. Yeah. 25:00 Fantastic. And wanna dial back a little bit to sleep, because I know that sleep can be the catalyst to screw everything up. And if you get a bad night’s sleep, you’re more insulin resistant, you make poor choices during the day. You feel so groggy and just out of shape. What suggestions could you offer perhaps late at night, in the pantry, that might be able to help us with our sleep a little? 25:32 Fabulous question, Stu. So whenever I’m speaking, at a speaking engagement, I will always say this. Sleep, exercise, nutrition. It’s a three prong approach. And if you look at the healthiest people you know. And please, everybody who’s listening, start observing this. 25:50 They guard those three things with their life. 25:54 They do not compromise. They do not say to the person who’s their partner, heir family, or their coworkers, ” I’m sorry. I’m slipping away early. I need my sleep.” They just do it. 26:05 They do not say, “I’m sorry. I’m going to exercise right now.” They just do it. 26:24 All those things that we need. 26:26 So here’s the thing about sleep that people don’t know. Sometimes, having hidden sugars in their diet, will make somebody tired but wired, right? 26:39 But also, not having protein punctuated in each of their meals is an important factor, I think, of good quality sleep. 26:52 Because protein breaks down to an amino acid called tryptophan. Tryptophan is the precursor to melatonin. 27:21 … before bed, because it gives them that protein. So we look at stabilizing their protein before they go to bed, and ensuring that. So that’s a really big concept that people underestimate, is just through our foods, that we can get that from the tryptophan to the melatonin. 27:42 The other thing that I highly recommend people to stop doing, which people often will laugh about. But you’ll get this. I like people to stop having an abundance of water and tea and liquids at night. 27:58 Because what I don’t want happened it somebody to wake up at 12 o’clock in the morning, have to go to the bathroom, and then become monkey chatter, monkey chatter, monkey chatter. I want you to have, I want you to be very hydrated throughout the day. I don’t want you to confuse your hunger for thirst during the day. But I want you to kind of dial back on it at night, so that you don’t wake up and all of a sudden, the stress head turns on. 28:27 Yeah. That’s a really good point. And I make a conscious effort to pretty much try and knock any on the head by 7:00 p.m, because I just don’t wanna wake up during the night. I just don’t. 28:41 And it works, and it works, too. 29:02 Yeah. Fantastic. That’s great. And in terms of supplementing, any staple herbs or supplements that will be necessary in the early stages to support your hormones? 29:17 Do you know, Stu, of course there are lots of supplements that I’m well across, and well versed, and well versed with the evidence based research around hat. 29:29 You can do a rebalance, or a cleanse, or a healthy hormone diet without the use of any supplements at all. 29:38 And I, when we first looked at working with patients, we say, we don’t really recommend supplements so we get to have a better look at people. But with that said, Stu, most people, and I just say most, generalized, could benefit from some added fish oils. 30:00 Because most of us don’t have enough fish in our lives or enough fats in our lives. And we know that fat is great at hormone balancing, brain function, anti-aging, everything. In terms of probiotics, I used to take a probiotic every day. Now I say to people, “Why not eat it?” Have a look at some Kim Chi, a bit of sauerkraut. So I always like people to get al of their nutrients through food rather than a supplement. But there is a time and a place for a supplement, particularly if you are vegan and vegetarian. 30:43 So this year, Stu, I’m gonna do a Ted talk, and my Ted talk is called, Mental Health Hijackers That Could BE Lurking In Your Food. And one of the things I talk about is being a vegan and a vegetarian. And I do not discriminate against being a vegan or a vegetarian, or being gluten free or being dairy free. All of these things have its time and its place. But what I say about vegans and vegetarians that the whole entire world needs to know, is that they will often lack iron, ferritin, and they will often lack B12, both of which are imperative for our mental health, both of which have very big connections to our serotonin and our dopamine pathways. 31:33 Now this doesn’t mean, again, I’m discriminating. What it means is for those people to be watching their food sources and making sure they’re eating iron rich foods or B12, having a blood test every 12 to 18 months, and if necessary, supplementing with a good quality supplement. 31:53 Yeah. No, that’s great advice. I gave a health talk a couple of weeks ago. And one of the members of the audience put their hand up and said, “Look, what do you think about vegan vegetarian diets?” And much like you, I said, “Yes. They can be wonderful for some people. But A, you have to know where you are before you start on that journey in terms of your health, blood levels, hormones, all of thee above. And more than likely, you’re gonna have to be, you will have to be smart with supplementation, because it’s very tricky to keep on top of all of the nutrients that you need to thrive. So yeah. 32:30 It really is, Stu, and you know I’m deeply passionate about children, of course. We all should be. 32:39 And when I’m speaking in schools, particularly to young women, where the statistics of a mental health disorder, anxiety, depression, and mood disorder, is one out of four. 34:16 If we can be nourishing them before they’re off to school, and if we can be leading by example. 34:25 I think that’s one of the most important things. So a lot of your listeners right now would be going, I always say this. I say, “When was the last time that you really nourished yourself?” And this is no disrespect to men, but women are very, very good at nourishing everyone in their life, their children, their partners, their parents, their community, their dogs, right? But they’re not very good at nourishing themselves. 35:07 Because when you start to feel good about yourself mentally and physically, and then your emotional health starts to shine, boy, you are all of a sudden the butterfly effect to your family and your community. You can give tenfold what you could’ve done without looking after yourself, right? 35:27 Absolutely right. So a couple of tips then to nourish ourselves, perhaps tips that would make the biggest impact on our overall health and wellbeing. 35:39 Well, taking a little bit, taking it a little bit back to The Healthy Hormone Diet, is get your blood sugar right, because people don’t realize once they get their blood sugar right and their insulin’s stabilized by eating three meals a day, wow. There’s a lot of clarity that comes with that. There’s a lot of energy that comes with that. So I think that’s very important that people think about eating three meals a day. Now, they don’t have to be packing every meal out with a lot of carbs. I always say to people, think about some carbs at breakfast. Think about your carbs at lunch. If you wanna pare back on your carbs at dinner, and you’re somebody who’s over 30, that can make sense, because you don’t necessarily need all that energy on board at night. But I say to people, ” Don’t underestimate fuel, the right fuel onboard.” We go and spend a lot of money on counselors, personal trainers, good hair, good skin. But we underestimate that food can underpin all of those things. 36:48 And we have to eat three times a day. So why not eat real food? And when you’re eating real, whole food, unpackaged and non-processed, it’s not packed with hidden sugars. And that’s where people gain weight. 37:02 Not with real, whole food. So the first, my first message is eat three times a day. 37:09 My second message is eat whole food as often as possible. 38:10 Too many people spend too much time beating themselves up. They gotta let go of that. 38:17 Totally. That’s great advice. And we always say, by all means, don’t beat yourself up. One hamburger, one pizza is not gonna make you fat. And just as well, just in the same vein, one salad is not gonna make you slim overnight. We it’s the sum of all of the things put together. If you get 80% of it right, then you can get away with 20%. You can enjoy the 20%, because I think you’ll be on the right track. 38:47 Absolutely. Absolutely. I agree with that. I agree 110% with that. That is absolutely my philosophy. 38:55 Fantastic. So The Healthy Hormone Diet, where can we go to get it? 39:09 A Healthy View, and you can buy it online. It will be delivered to your home. 39:13 You can go to your local Demmick’s. Someone from Queensland sent me a message yesterday and said they bought it at Target. So most good booksellers will have it. Or you can buy it online through Booktopia. 39:26 Fantastic. Well look, we will put all the links in the show notes as well, and just guide as many people as we can over there. It sounds fantastic. I’ve got a copy on the way, so I’m very much looking forward to getting that. Shame I couldn’t have had that two years ago. I think that would’ve been a great help to me. 39:44 So just before we wrap up the show, what’s next? What have you got in the pipeline? 39:50 Oh, so exciting. The next couple of days. I feel little tickle in my throat because I’ve been speaking so much. 40:16 … so they can nourish our children. Wow. Like really, whew, so good. And then I’m going to the States and launching my book there. And all really, really good things, and just getting the message out there, Stu. And as you know, I am deeply full of gratitude to be a nutritionist. So I’ll leave you all with this, which I leave everybody with. Reach out to me. Instagram, Facebook, personal emails, whatever. We have a big team of people. But don’t ever say, “Hey Michele, hate to bother you,” because I always tell everybody this. You are not a bother. You are so my purpose. 40:54 That’s awesome. And for all of those people that do wanna hit you up, Michele Chevalley Hedge. Google Michele Chevalley Hedge, A Healthy View. Which would be the best place to send them? 41:06 Fantastic. Okay. Look, thank you again for your time. You are supremely knowledgeable, and very, very … It’s just great to catch up with you again, like fantastic. 41:17 Really appreciate it. Hopefully we will catch up in the future, and I hope the book tour goes well. 41:22 Great. Thanks, Stu. Thank you very much. Bye. 41:24 We’ll speak to you soon. Thank you. Bye-bye.